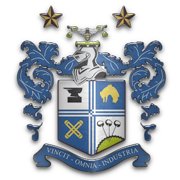 After being elected to Division Two in 1894, Bury won the FA Cup twice at the turn of the century, and also played in the top two divisions of the league right up until 1957 - their first games against the Town coming the following year, both games ending in 0-0 draws. 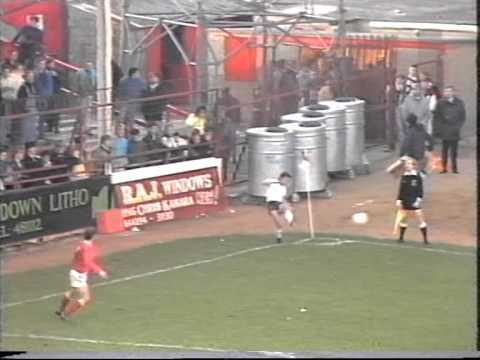 With former Bury manager Bobby Smith in charge, Swindon hammered the Shakers 8-0 in 1979, to equal the Town's biggest winning margin in a league game. 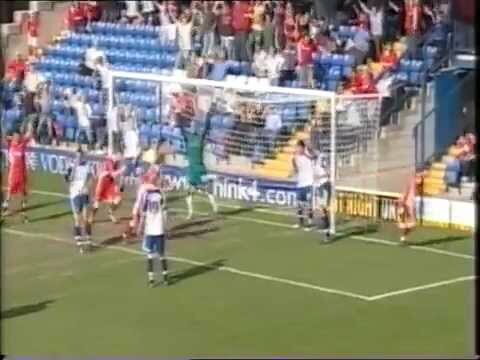 Amongst the scorers that day were Andy Rowland and Billy Tucker - two of four ex-Bury players in Swindon's starting line-up. 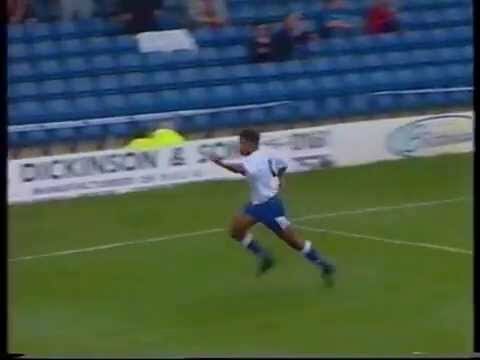 Wearing the number eleven shirt that day for the Town was Brian Williams - Bury's youngest ever player - and another of the goalscorers, Ray McHale, went on to have a loan spell at Gigg Lane later in his career. The Swindon players are given two days off by boss Ken Beamish, after playing out a goalless draw with Bury. A superb performance from Scott Endersby helps the Town to yet another home win - a Peter Coyne penalty winning the points versus the Shakers. 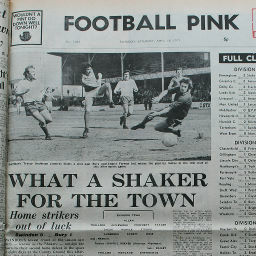 Mark Gardiner scores to give the Town victory over the Shakers. 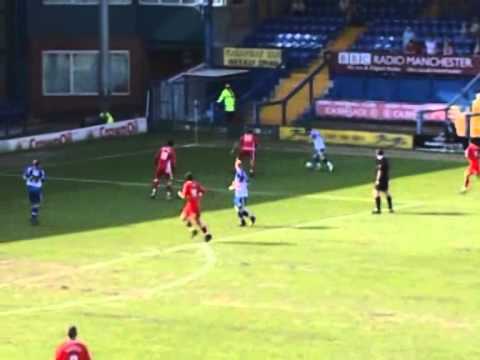 Two early goals from Chris Hay sets Swindon up for a 3-1 win over Bury. 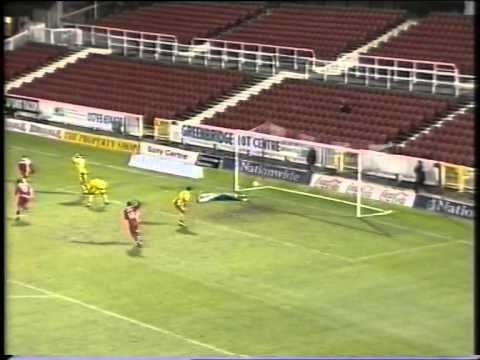 Apparently, Swindon attacked well against Bury. 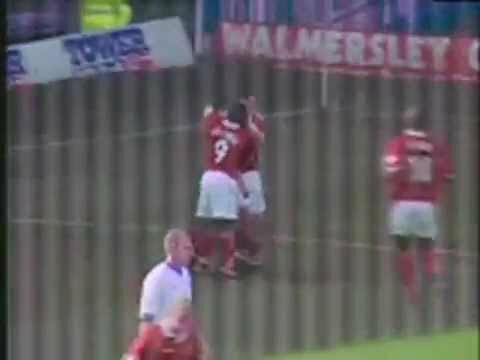 Michael Reddy scores Swindon's first goal of 2001, within three minutes of the start of his debut, as the Town thump Bury 3-0. 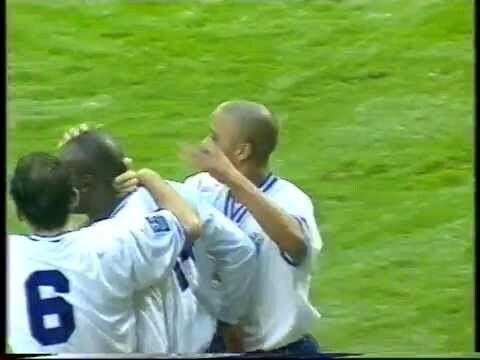 Goals from Jo Kuffour, a Keith O'Halloran penalty, and David Duke seal a comfortable away win over ten man Bury. The Town make a flying start, with two goals in the first eight minutes - eventually running out 3-1 winners over the Shakers. 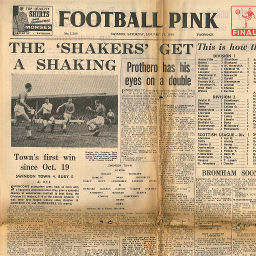 The Town benefit from a last minute own goal to beat the Shakers. Lukas Jutkiewicz's crucial late goal puts Swindon three points ahead of fourth-placed MK Dons, with just three games left to play. 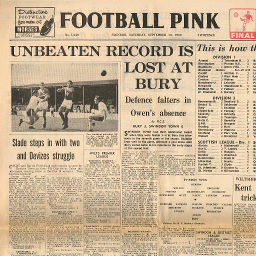 Click to view a newspaper report of Swindon's 0-0 draw at Bury in the 1958-1959 season. 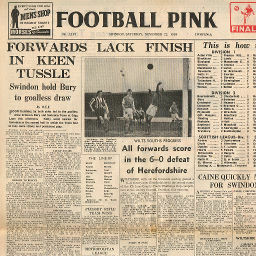 Click to view a newspaper report of Swindon's 0-0 draw against Bury in the 1958-1959 season. 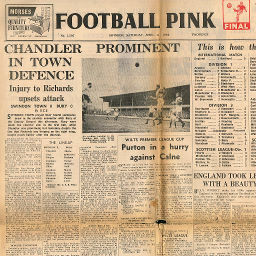 Click to view a newspaper report of Swindon's 1-0 win against Bury in the 1959-1960 season. 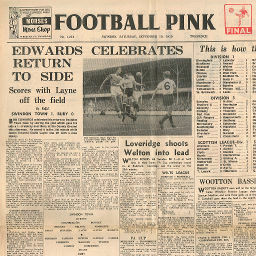 Click to view a newspaper report of Swindon's 3-0 win at Bury in the 1959-1960 season. 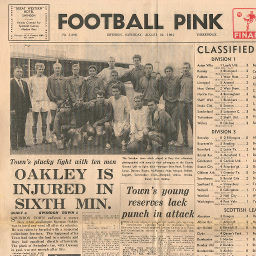 Click to view a newspaper report of Swindon's 0-3 defeat at Bury in the 1960-1961 season. 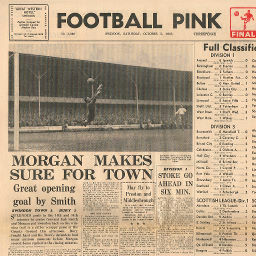 Click to view a newspaper report of Swindon's 4-0 win against Bury in the 1960-1961 season. 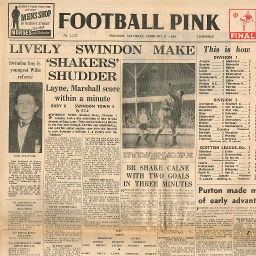 Click to view a newspaper report of Swindon's 2-1 win against Bury in the 1963-1964 season. Saturday, August 22, 1964 OAKLEY IS INJURED IN SIXTH MIN. 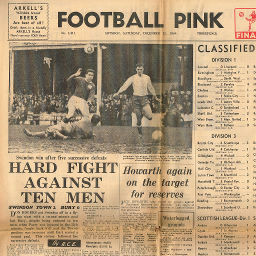 Click to view a newspaper report of Swindon's 1-6 defeat at Bury in the 1964-1965 season. 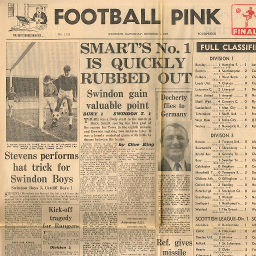 Click to view a newspaper report of Swindon's 2-0 win against Bury in the 1964-1965 season. 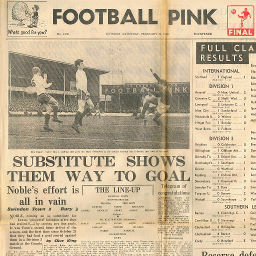 Click to view a newspaper report of Swindon's 2-1 win against Bury in the 1966-1967 season. 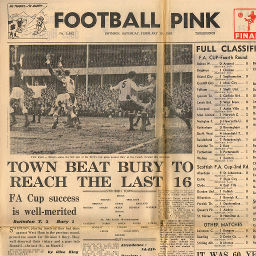 Click to view a newspaper report of Swindon's 1-1 draw at Bury in the 1967-1968 season. 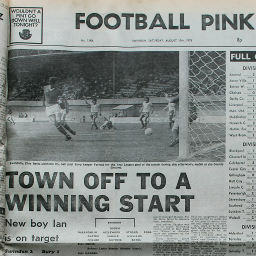 Click to view a newspaper report of Swindon's 2-3 defeat against Bury in the 1967-1968 season. 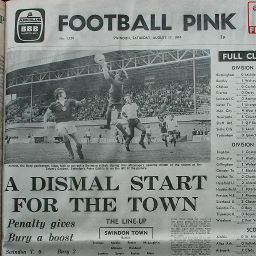 Click to view a newspaper report of Swindon's 0-2 defeat against Bury in the 1974-1975 season. 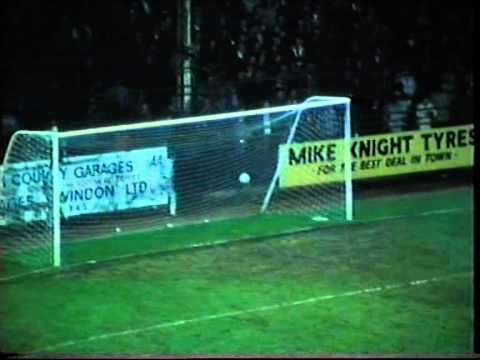 Click to view a newspaper report of Swindon's 0-1 defeat against Bury in the 1976-1977 season. 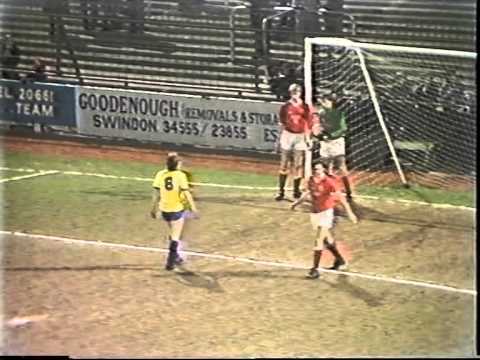 Click to view a newspaper report of Swindon's 1-1 draw against Bury in the 1977-1978 season. 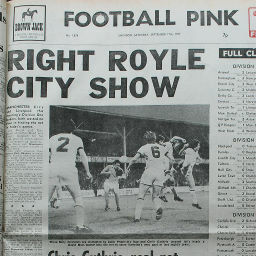 Click to view a newspaper report of Swindon's 2-1 win against Bury in the 1978-1979 season.